We'd be disappointed if it didn't. Although it hasn’t been confirmed, there’s an excellent chance the C7 Corvette ZR1 will arrive in 2018, or even possibly later this summer. Think of it as the last front-engine hurrah before the mid-engined C8 Vette hits the streets. Chevrolet is still being mum on the details for now, but previous spy shots have clearly indicated the C7 ZR1 will be quite something – and it’ll come with a gas guzzler tax. 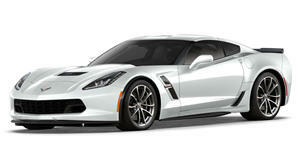 According to Corvette Blogger, the Chevrolet order system clearly states a "Gas guzzler Tax, ZR1." The Corvette Action Center managed to get a hold of a screenshot of the preliminary order form, which also shows new Carbon 65 blue calipers, or "ZR1 Blue." The gas guzzler tax is listed right there for all to see – and that’s a good thing. In fact, it’s awesome. Why? Because the ZR1’s power will more than likely come from the Z06’s supercharged 6.2-liter V8, the LT4, only with even greater output. 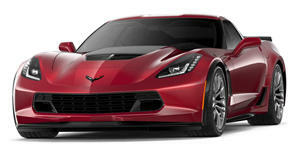 The Z06 has 650 hp, but the ZR1 is expected to hit around 750 ponies. An earlier rumor suggested the ZR1 could come powered by the upcoming C8’s supposed new twin-turbo V8, the LT5, but proof of the gas guzzler tax is a pretty good indicator Chevrolet is using the upgraded LT4. Previous spy shots also clearly indicated the ZR1 will boast numerous aerodynamic add-ons, like an optional monster-sized rear spoiler with vertical winglets, and new front and rear fenders. We’ll hopefully have more ZR1 information throughout the summer, but everything so far indicates this last front-engined Corvette is going to be out of this world.